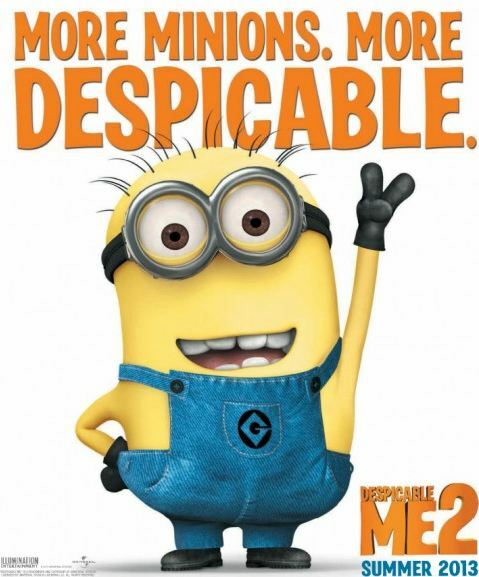 Yes, Despicable Me is having a sequel, and of course the movie is titled Despicable Me 2. But besides that point, there will be another Despicable Me related movie, this one about those yellow little minions. 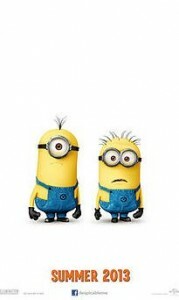 Set to come out on July 3rd, 2013, Despicable Me 2 will feature the previous two directors Pierre Coffin and Chris Renaud. While details are scarce at this point, Steve Carell, Miranda Cosgrove, Russell Brand, and Kirsten Wiig will come back to do the sequel. It has also been stated that Al Pachino will be Gru’s enemy and that Steve Coogan will also have role in the movie. The minions will get their own movie set to come out in 2014. According to Deadline, the movie will solely be about the minions as they cooperate with other non-minion characters. The movie will incorporate past characters from the Despicable Me movies (so we’re guessing a combination of the first and the second one to come?) as well as new ones. Pierre Coffin will also direct this spin-off, as well as Kyle Balda. As you may remember, Pierre Coffin and Chris Renaud directed Despicable Me and will direct Despicable Me 2, and it should be known that Coffin and Renaud voice the minions themselves, so we can expect to see Renaud on the set of the minions spin-off as well. You can check out the official Despicable Me 2 website, which doesn’t really offer a lot of information about either the Despicable Me 2 movie or the minions movie, but it does have a pretty funny, non-English saying trailer about the movie. Details are closely wound at this point, but they are bound to be known, and we’ll tell you here.